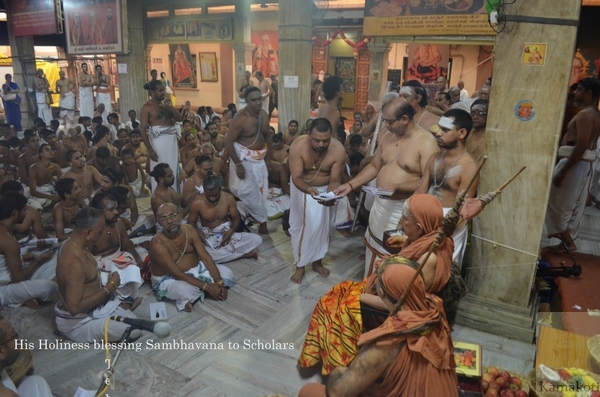 Samaveda Sabha which started on 23rd of September concluded yesterday in the evening. 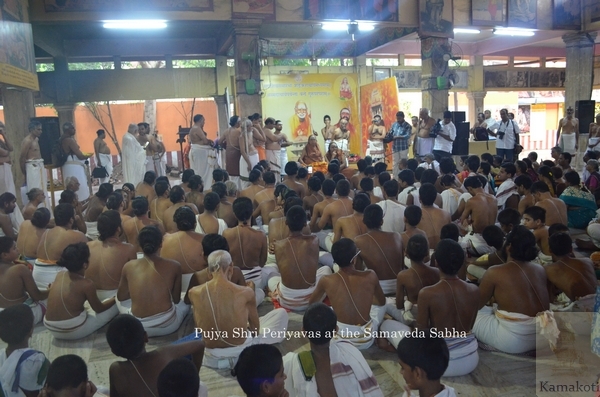 The sabha was held as a part of Shatabhisheka Mahotsava celebrations of His Holiness Pujya Shri Jayendra Saraswathi Shankaracharya Swamigal. The six day long event was attended by more than 80 Samavedic scholars and many Samavedic students. 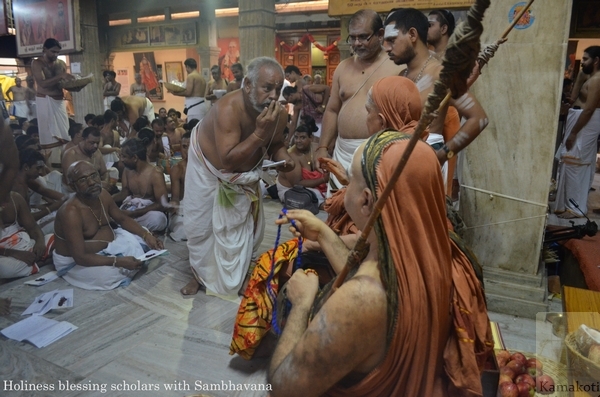 All available Shakhas of Samaveda - Kauthuma, Jaimineeya & Ranayaneeya were chanted by scholars from various states including Tamilnadu, Andhra Pradesh, Telangana, Karnataka, Maharashtra & Bengal. 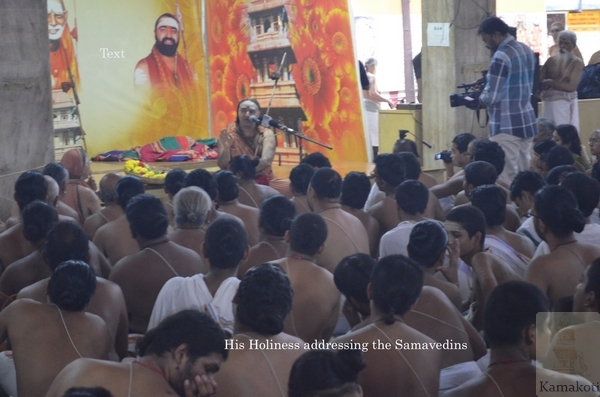 Every morning special Samaveda Gruhya Homas were held and in the evening, senior Samavedic scholars gave special lectures to the attendees. 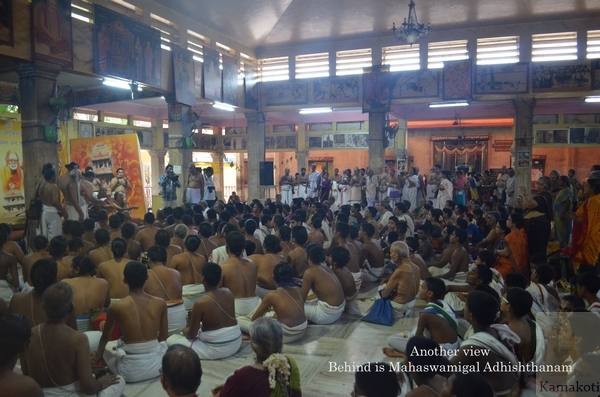 During the event, the scholars had many an occasion to hear to His Holiness' Anugraha Bhashanam. 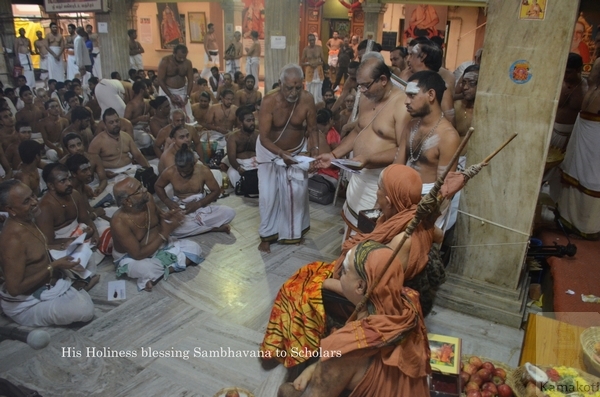 Just before embarking the Vishwaroopa Yatra the Sambhavana was blessed to the scholars by His Holiness.